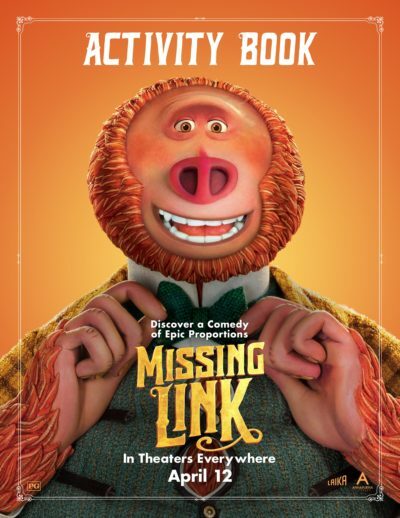 We are SO EXCITED about Missing Link, the latest stop-motion animation film created by Laika Studios, hitting theaters THIS WEEK on April 12th! 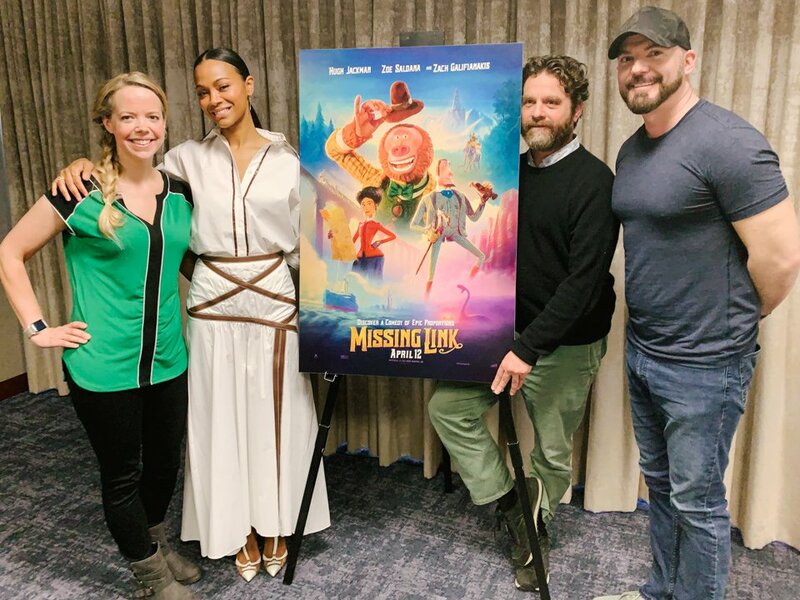 If you checked out our interview with Missing Link stars Zoe Saldana and Zach Galifianakis over on Thrifty Jinxy, you’ll know how much creativity, effort and magic went into creating this movie. 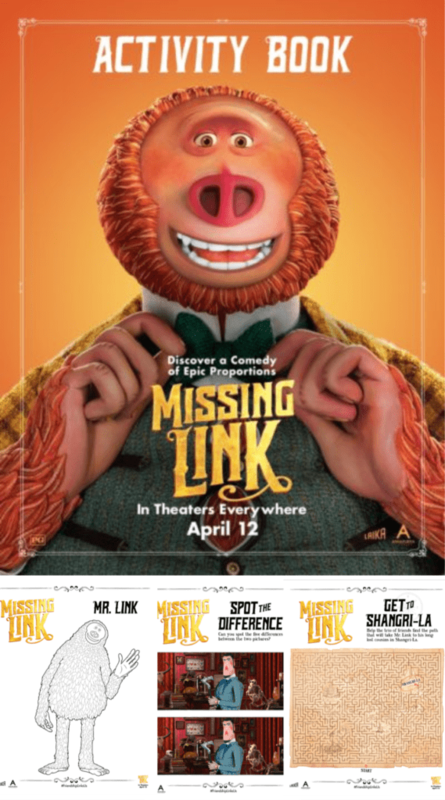 Now you and your kids can keep yourselves occupied while waiting to see the movie with this free Printable Missing Link Activity Book! Cut out the characters, draw yourself with the gang, complete a maze, make bookmarks, complete and a dot-to-dot activity, and more. 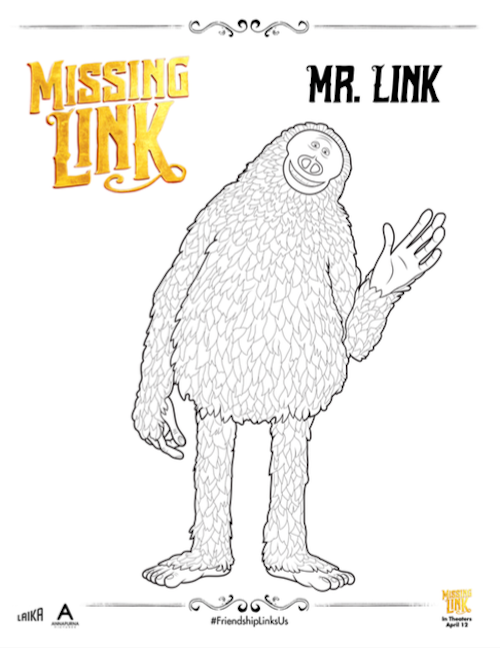 Coloring sheets in the Missing Link Activity Book include Mr. Link (above), Sir Lionel Frost, and Adelina Fortnight. 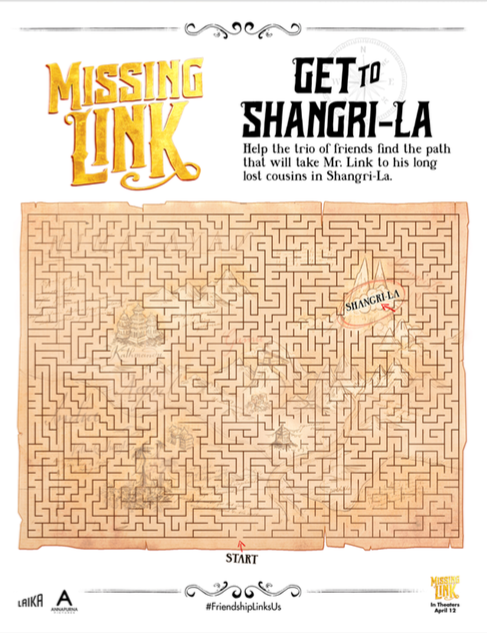 Puzzles in the Activity Book include these fun maze where you need to get the trio of friends along the right path to take Mr. Link to his long lost cousins in Shangri-La, as well as a Connect the Dots picture, Match and Play puzzle and Spot the Difference game.